It’s no small secret your online community and your loyal customers within are your company’s greatest asset. Everyone now knows how much easier it is to retain loyal users than to go through obtaining more users through the user acquisition process. One would think if it’s such an obvious practice, everyone would have built wonderful, long-lasting, and strong bonds with their customers. Easier said than done. Businesses commonly mistake “customer satisfaction” for customer loyalty. While a customer may be happy with their one-time experience with your brand, what’s going to make them a lifelong community member? The same thing that’s connecting you and your childhood friends: building strong and worthwhile bonds. 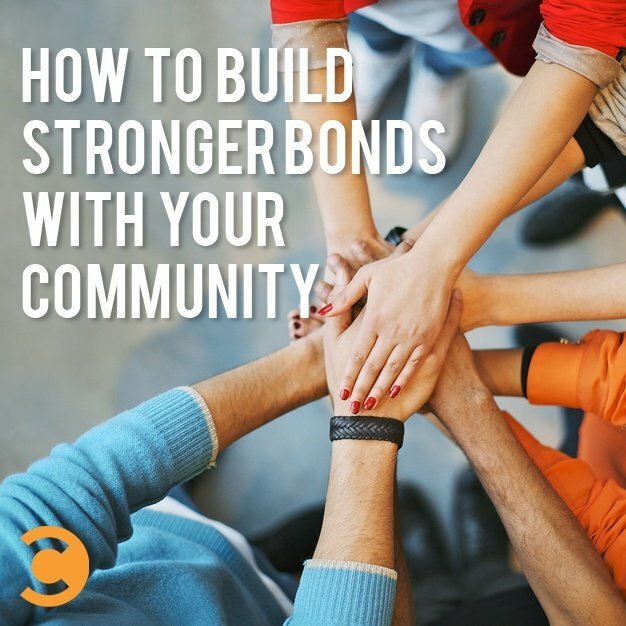 Here, we’ve composed a list of tips and tricks to strengthen your bonds within your online community and, hence, invest in the future of your business. Who are you more likely to approach: Dr. Michael Brown, Ph.D. or Mike Brown? Shortening names is part of our nature. Nicknames are associated with intimacy, trust, and friendship. The last thing you want to come off as in your online community is intimidating. In a 2009 study, researchers examined the intimate language made up of nicknames and code phrases and found that this intimate language correlated highly with stronger and more resilient relationships. So how can we extrapolate these findings to creating and strengthening bonds within an online community? Give your online community a nickname that’s exclusive amongst your group members. Nicknames give that feeling of exclusivity and intimacy which can provide a shortcut to emotional connection to the community. For example, reddit.com has a large community of fellow “redditors.” The nickname brings the entire community together. They feel this attachment to one another and like they’re all part of something. Think about a personal relationship with a close friend. How did this friendship come to be? Chances are you shared some sort of experience together, whether it was waiting in line at the bank or riding a bike for the first time. Shared experiences forge strong relationships. In your online community, you’re already halfway there. All of the members of your online community already have an interest in common: your business. Your goal is, then, to create some sort of experience revolving around this shared interest that you and your community can have together. Set up some sort of group chat or forum to discuss a frequently-asked question that a lot of members are struggling with. This way, your customers can bond over the fact that they’re all experiencing the same issues, and they can help each other resolve them. Host an offline meetup with a relevant speaker or event that involves your community’s interests. The more friendships you can build within your online community, the more reason your customers have to keep coming back. There’s a common theory in social psychology that describes how humans act in group scenarios: the us vs. them mentality. It’s inherent that as humans, we have a need for social identity—to feel as though we belong to a group. With our in-group also comes the significant out-group. The only thing that we humans love more than feeling part of our own group is ganging up on some irrelevant out-group to make ourselves feel better about our in-group. Similar to the nickname trick, remember when you were a kid and had secret, made-up languages with your siblings or neighborhood friends? Language is a unique aspect of your community culture that brands your community and brings everyone together at the same time. When you hear Venti, Tall, or Grande what do you think? Starbucks. Their unique language makes their customers feel like esteemed coffee lovers with their fancy lingo, and it’s something to which all Starbucks fans can relate. Moreover, if you have a niche community or a community full of a particular technical occupation, you better speak their language. For instance, if you have a community for real estate agents, you’re going to want to know words like fizbos, lockboxes, and chattels. Likewise, if your community isn’t as advanced on a topic as you, get down on their level. Make yourself part of the community by speaking the right lingo. Show off and incorporate UGC in all levels of your cross-media promotions. User generated content is great, original content you can use for your business, and it makes your community members feel validated, like they’re doing something in return for their community. This feeling of empowerment the user gets after seeing their content posted, not only for the community but on behalf of the business, only reinforces the positive feelings they have. This is a great resource that SodaStream employs incredibly well. Instead of outsourcing your content, you can use brilliant UGC from your community and engage them at the same time. Here’s a UGC campaign that SodaStream employed: They asked their community what they received for the holidays that they would have rather “swapped” for a SodaStream. What methods have you used within your online community to build strong relationships? Do you have any other tricks or tips that have worked for you? Ben Shwartz is the VP Marketing for Spot.IM. He loves to buy/sell websites and anything to do with online marketing.